Reverend Elizabeth Edman posits that Christianity, at its scriptural core, incessantly challenges its adherents to rupture false binaries, to "queer" lines that pit people against one another. Thus, Edman asserts that Christianity, far from being hostile to queer people, is itself inherently queer. She reveals how queering Christianity - that is, disrupting simplistic ways of thinking about self and other - can illuminate contemporary Christian faith. 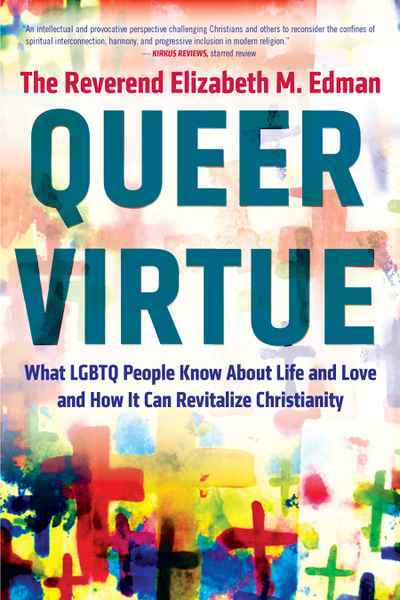 A rich and nuanced exploration, Queer Virtue mines the depths of Christianity's history, mission, and core theological premises to call all Christians to a more authentic and robust understanding of their faith.